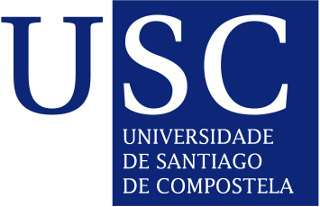 The University of Santiago de Compostela - USC is a public university located in the city of Santiago de Compostela, Galicia, Spain. It is one of the world's oldest universities in continuous operation. Today, in terms of human resources, the university has more than 2,000 professors involved in study and research, over 42,000 students, and more than 1,000 people working in administration and services. Moreover, in 2009, the University received the accreditation of Campus of International Excellence by the Ministry of Education (Spain), recognising USC as one of the most prestigious universities in Spain. The university ranks 5th in Spain's best universities ranking by Complutense University of Madrid and IAIF and 4th amongst public universities. María José Alonso is full professor of Biopharmaceutics and Pharmaceutical Technology at the University of Santiago de Compostela (USC). Her lab has pioneered numerous discoveries in the field of Nanopharmaceutical Technology and nanomedicine. She has coordinated several research consortia financed by the WHO, the Gates Foundation and the European Commission. Currently, she is involved in 5 EU Projects and she is coordinating the TRANS-INT EU consortium. She is the author of over 230 scientific contributions with more than 11,500 cites (H factor 65) and the inventor of 18 patent families. Because of the quality of her papers she has been among the TOP TEN in Pharmacology (Times Higher Education international ranking). She is currently the Secretary of the Controlled Release Society. She also serves on the editorial board of the 10 journals. In 2006-10, she was the Vice-rector of Research and Innovation of the USC. She has advised the Ministry of Sciences and Innovation in the elaboration of the Law of Sciences, technology and Innovation, 2011 and, she has been part of the advisory council of the Ministry of Health in Spain. She is also a member of three Academies in Spain and the US National Academy of Medicine. Sakthikumar Ragupathy (PhD) has recently joined Prof. Alonso`s group (USC) as a postdoctoral researcher. His research is focused on the development of non-viral vectors for gene delivery applications. His previous work is reflected in patents and publication in international journals. He has participated in collaborative projects with WHO founded Vaccine formulation laboratory in Lausanne and Swiss based biomedical companies. He was awarded the INNOGAP 'proof of concept' grant for advancing the technology developed during his PhD at University of Geneva, Switzerland.